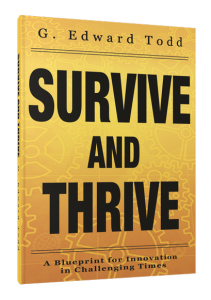 “In addition to his organizations consulting work, the author of this book, Grant Edward Todd, offers a unique dimension in being an actual CEO with a grasp of client needs and a thorough understanding of the subject and my work. What is special and valuable about this book is that it goes into the operation and integration of better thinking in actual business situations. There has always been a need for this practical perspective. “The author makes it clear that in these ‘challenging times’ doing things as they have always been done is not enough. There is a real need for innovation as a core organizational value. This does need to be more than lip service.